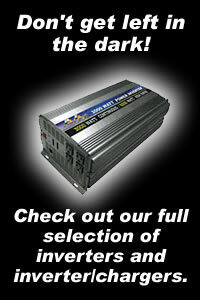 World’s most advanced fully automatic battery charger for longer battery life, dependability and far less maintenance. Single battery maintenance chargers. Perfect for the car, ATV, motorcycle, or personal watercraft. Complete line of waterproof chargers. Perfect for the boater, PWC owner or anyone else who may like to play in the water. Perfect for the shop or anywhere else that multiple batteries need charged at once.